As a mom of a child with Autism, I find that he often has his hands in his mouth and I worry about the alcohol in hand sanitizers that he's exposed to at school and elsewhere. 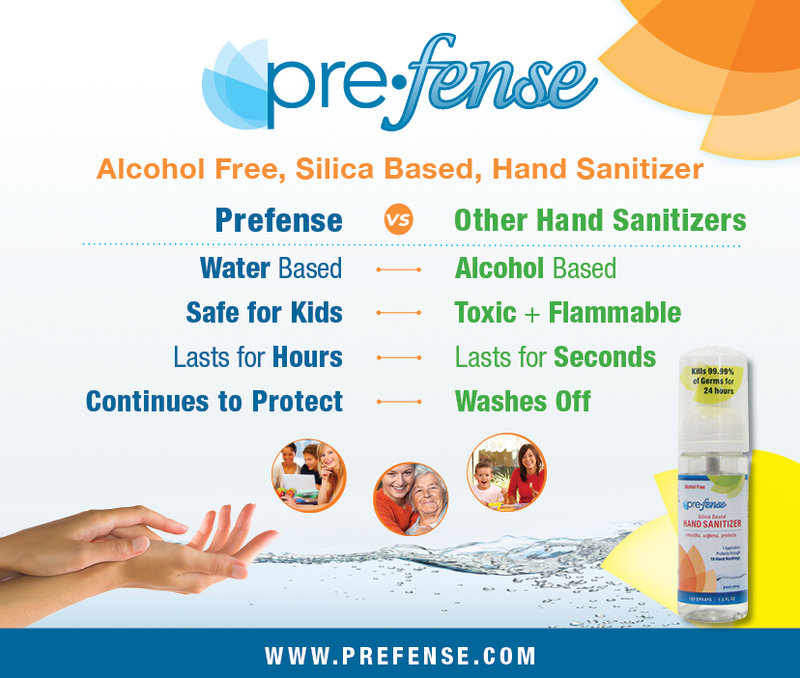 I know that, especially in cold and flu season, that the benefits of using hand sanitizer can outweigh the issues that I have with the alcohol and other chemicals found in most hand sanitizers, but what if I can get all of the benefits without all of the problems? 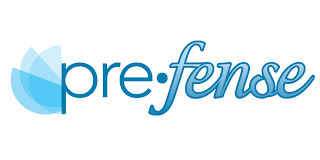 My review: I absolutely love Prefense. It has a great scent that is completely the opposite of alcohol-based hand sanitizers, so I don't feel that I have to clothespin my nose when I'm applying it. And speaking of applying - it is so much easier to get exactly the amount of sanitizer I need. My hands don't feel wet and sticky for what feels like hours after applying it. I also love that you don't have to constantly re-apply it, even after hand-washing or in Liam's case, making hand prints in puddles! You can win your own large 8 oz bottle of Prefense!